Alex J. Cavanaugh: Ninja News, 1304-The Harbinger, Blogfest Overload, and Movie Trivia! 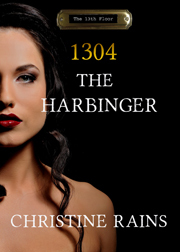 Ninja News, 1304-The Harbinger, Blogfest Overload, and Movie Trivia! The second book in the Vallar series by Cindy Borgne is available now. Congratulations, Cindy! Purchase the book here at Amazon. And the first book is currently ninety-nine cents at Amazon. Don't forget the Wednesday Movie Quote returns with one from a romantic comedy! Find Christine Website, Blog, Facebook, Twitter, and Goodreads. There are a lot of upcoming blogfests. Is it overload? Have we saturated the novelty of a blogfest? Too many? Perhaps, but I enjoy the sense of community and involvement. Besides, most are just fun! Today and February 20 - Elise Fallson and Michelle at Writer In Transit are hosting the She Said What Blogfest. February 20 - Jamie at Mithril Wisdom and Allison at Geek Banter are hosting the Level Up! Blogfest. March 1 – M Pax, Suze, and Nicki Elson are hosting the Back From the Future Blogfest. March 1 - Clare Dugmore and Kyra Lennon are hosting the Bloghop of Joy. March 14 - Stephen Tremp, Laura Eno, LG Smith are hosting the National Wormhole Day Blogfest. March 15 - Mark Koopmans is hosting his annual Got Green Blog O’ Hop. March 18 is my Top Ten Movie Countdown Blogfest. All of April – the A to Z Challenge. 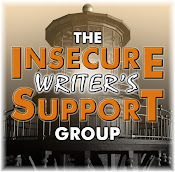 First Wednesday of every month - Insecure Writer’s Support Group. Every Friday - Celebrate the Small Things, hosted by VikLit. And this Friday only, my CassaStorm Cover Reveal! Big thanks to those who’ve signed up to help with the reveal on February 22. See some cool new books you need to pick up? Think we've hit blogfest overload? How many have you signed up for before the A to Z Challenge begins? (Did I miss any?) And do you know any of the trivia answers? I've been overloaded in my revisions notes and implementations. I'll be glad when I get this book out there so I can enjoy some time blogging again! Looking forward to the Cover Release... yes! Also Congrats to the other great news! 1) Escape from New York? 5) I know this, I know this!! Arrrgh! 6) Speed! LOL!!! I'm kidding! I need more coffee! Tank Girl was a really weird movie. It's getting to the point where there's always a blogfest on. I used to do quite a few but just do AZ now (the grandaddy). Congrats to all the authors! The Visionary of Peace link is broken, btw. I don't think we're getting blogfest overload as long as everyone doesn't feel obliged to do the majority of them. What I'd like to see is more specialized bloghops, like by subgenre or region. Maybe I'll have to host one. . . I usually keep to the A to Z Blogfest and anything you may have going. There are many new books coming out, we here are lucky to have fine authors..
Look forward to Friday's blogfest. Oddly enough I haven't signed on to do any blogfest so far. There really are a lot of them floating around at this time of year. But i like reading the post of those who do participate. It's always a great way to find out new things about people! With all the blogfests, how does one get any writing done? The next couple of months are going to be busy and I thought the last two were busy enough! Gosh that's lots of blogfests. Lots of fun though! Wow! That's a lot of blogfests. Thanks for sharing all the news. So excited for Ali's new book. That's a lot of things going on. Congrats on the new cover, can't wait to see it. Jeremy, you deserve a vacation - go enjoy! Kitty, you got the second one right. And I think we need to cut you off on the coffee. Moody, yes it was a weird movie. And if you're going to do just one, the Challenge is the one to do! Sean, I'll fix it. And you should host one. Lan, you should try one sometime. Gail, you're going to like it! Its busy out there in Blogland. I have one on tap but its too busy to think of it until after A to Z.
Todd luck to all the writers and their new releases! Oh yeah its busy in Blogland! That"s good luck ... I knee coffee. I'm so stealing your list and re-posting it today. That is quite a few blog fests going on. I am loving the Christine Rains series. I just got #1303. 6. Bill and Ted, Dude! 6. Bill and Ted's Excellent Adventure. And I have Cindy's book, picked it up on Friday. I'm signed up for a few blogfests, I think, I figure I'll be an email a week or so before to remind me of any. No idea on the movies. Signed up for the Movie Blogfest and the A-Z Challenge. Bought a few books this weekend - Lisa Gardner's newest, a debut novel from a new author, and Daughter of Smoke and Bone by Laini Taylor which I've heard so much about but haven't read yet. Looking forward to all of them! I guess there are a lot of blogfests going on right now, huh? I think it's fun though. It doesn't bother me. I'm looking forward to your cover reveal! And I have to admit..I have a hard time keeping track of all the blog fests. I'm hoping I can make it through A to Z.
Whoa, bloghops galore! Thanks for keeping track of them all - I've just done a bit of signing up! Unfortunately, my time is so scheduled these days that I seldom have the time for a blog fest. I bet I would like them if I really had a chance to take part. That's a lot of bloghops. I don't even know where to begin. I can barely pick between Ernest Goes to Jail and Ernest Goes to Camp without having a brain aneurysm. I'd be a part of a bloghop if was a smaller one, but something like A-Z is so time consuming that I'd rather spend that time working on a new novel than the stress of trying to post every day. So. Many. Comics! Lots of hops/fests for sure but tons of fun!! Congrats on tour and cover! A to Z keeps me busy for sure!! Wow that is a lot of blogfests! I enjoy them too. I haven't participated in one in a while but I love reading all the posts. It's only too many blogfests for the person that signs up for too many. I only participate in a few, just to keep my sanity. I think I know most of the movies today. Love that Bruce Willis and Kurt Russell. I love the bloghop/blogfest idea and think it's a great way to expand the community. I know that I've found a ton of great blogs due to them. I knew all the movies, but it took me a minute to remember Stargate....I had forgotten Spader was in that one. I can't keep up with all the blogfests. I am doing your favourite 10 movies and the A to Z for which I am now a minion. Like Diane, I don't sign up for any others. I LOVED 12 Monkeys!! Great sci-fi. Stargate was ok. I am looking forward to Oblivion and After Earth this summer. Might be the summer of sci fi flicks!! Can't wait to see your novel's cover!!! WOW! That IS a lot of blogfests... I will have to see which of those work. And The Harbinger looks fabulous! I love those mischievous Greek Gods and their tricksy ways! #1 Kurt Russell and James Spader in the same movie? Oh! Escape from New York! Right? #6 is Bill and Ted's Excellent Adventure but the rest...? And I'm signed up for way too many blogfests, one of which I already mis-posted for. Duh! Can't wait to see your cover!!! There are a lot of bloghops but also high interest in them so I don't think there's an overload. Rusty, you got four out of six. Cindy, that's why I write them all down. And you're welcome. Brandon and Bryan, I know a lot of people who will work on a project in April rather than do the Challenge. Mark, that's why I never lack for ideas - always a blogfest happening! Optimistic, the Stargate series were much better than the movie. I try to stick to blogfests on subjects that are new or interesting, or that are hosted by my blogging buddies. As much as I want to engage in every blogfest--especially when I feel i know the blogger--I do have to restrict my activity on it. It's fun , but it's also time-consuming to visit the other blogs. I don't know how you do what you do. You're amazing. I must pick and choose now, kinda like which chocolate to pick from the candy box. Too many good ones out there. Congrats to Christine!! Fantastic cover. Love Robocop, btw. One of my faves. Oh, rats. I skipped your cover reveal. AnTiciPation!!! Looking forward to your cover reveal, Al. And thanks for mentioning the BFTF blog party. You never cease to amaze with your ability to keep track of everything that's going on! I had no idea so many blogfests/hops were in the works. You are "da ninja" of announcement! Thanks for the roundup. I need to do my post for the She Said bloghop. Reading one from Christine now and this one sounds good too. MsHatch, got three right, and quick save on the first one. I'll say you got it. Suze, got two, and you're welcome. Took me some time to pull this post together. Wow, I actually know two of the trivia. I'm signed up for a few blogfests and I like them because it's one less day to have to come up with original material and most of them are fun. So many blogfests, and with my rough schedule, I have to pick and choose unfortunately. There are a lot of blogfests going on! I'm taking part in yours for sure. Also, can't wait to see the cover of your new book. I've signed up for about 4 of the above blogfests. Oh, I have definitely hit blogfest overload. I am only participating in your cover reveal and movie one in March. As of this moment, I am skipping a-z this year. Hard choices, because I'll miss out on so much fun, but time to write is more important at the moment. Wow, lots of good things happening! Thanks for the info. Looking forward to your cover reveal! Christine's new book sounds great! Man, she's been busy! I read the first book in the Valor series, so the second should be just as good! Yes, there are a lot of blog hops. Personally, I think it's fun, but I just don't have time to do them all. It's definitely too many blogfests for me to participate in all of them, but it's awesome to have such a variety to choose from. 2, 3, 4, 5 - ? familiar but? 6 - Bill and Ted's Excellent Adventure - Rock On, Dudes! Thanks for the shout out Alex! Awesome reads coming out. I've noticed an increase in bloghops too but it doesn't bother me. No one can participate in all of them, but it's nice to have a choice. Wow, that's a lot of blog fests! But they all do sound like a lot of fun. There are numerous blogfests, so I pick the ones that appeal to me. Have to prioritize the time. I've volunteered for one book launch, and three blogests in March (yours, Back to the Future and Nat'l Wormhole Day - the spacey elements appeal to me. Still on the fence about the A to Z. Will decide this week. I look forward to the the CassaStrom cover after the return from my business trip to Spain. Not too many blogfests, because we can pick and choose without guilt. Too many book releases, though. But, of course, that's a GREAT thing. It's just overwhelming to me. Those book covers are amazing. Congrats to all the authors. Lots of great books. How wonderful! And yes, there are a lot of hops and fests, but we can pick and choose which we want to participate in-- fun to have a selection! Bish, just trying to stay on top of things. Jay, you nailed the answers. Jenn, great cover AND awesome pen name. Michelle, you're welcome, and sorry about your computer issues. Karen, thank you! And April would be a good month to write. Tyrean, at least nothing else is happening during the Challenge! And you got two. 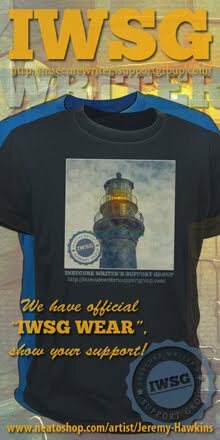 DG, thanks, and hope you join us for the Challenge. I can't keep track of all the blogfests. Just can't do it. Can't wait to see your new cover. I limit myself on Bloghops. I have to, otherwise, I get distracted from writing. There's always a lot of stuff going on in the blogosphere. That's why I come here, it helps me to remember what I've committed to doing. I've never done a blog fest of my own. I don't think I ever will. There's already so many going that it's much funner to do the ones that appeal to me and skip the ones that don't. Those ARE a lot of blogfests. Wow. Holy Blogfests Batman! I know I won't keep them all straight, that's for sure. I will do my best. Looking forward to your cover reveal buddy. There's never too many blogfests. Can't wait to see your cover. Thanks, for the Elise and Michelle one by the way. It's wicked fun writing to the panels. Look at all those lovely blogfests! I wish I could join, but must.go.to.work! Congrats to Ali, Christine and Cindy! Edi, I saw it Friday - it's so awesome!!! Robyn, it just makes for a full library. Andrew, you should've seen me trying to put this post together. Michael, the real fun is in hosting one though. Another reason I dig being an A to Z host. Ilima, I'll do images next time just for you. Shaharizan, and that's the perfect reason to participate. When I see all the blogfests listed like that it does seem a little overwhelming, LOL, but it's fun that there are so many coming up! I think in May everybody will crash for a bit after the Challenge, so it's great to have lots going on now. Christine's covers are all so awesome! I'm looking forward to being a part of the reveal. I sign up for most of the blogfests since they're fun and I get to meet new people, but it's impossible to join them all since I can only post so much in a week, especially when it takes time to catch up on comments. The Harbinger looks awesome and sounds really cool! I haven't been signing up for as many blogfests as I have in the past, since it's so hard to keep up with all the posts sometimes, and I haven't been taking enough time in recent months to post on my own topics. I do my weekly Saturday and Sunday bloghops, but other than that, I'm limiting how many I sign up for. I don't know how you keep up with all of this stuff, Alex, but thanks a million. Just signed up for A to Z challenge and can't wait to visit all the familiar faces...er...blogs involved. Yes, way too many blogfests these days. I'm doing yours, of course, plus the wormhole one and hopefully the A to Z. That's all I can handle. As for all those books, I wish I had the money to buy them all and the time to read them. I do think I might know the first 3 movies. Stargate, Robocop, and 12 Monkeys??? Is the last one one of the Bill & Ted movies? Lots of fun blogfests coming up! I'm excited for your cover reveal Alex! Julie. there will be some crashing. Nutschell, glad you are excited. Crystal, glad you joined the Challenge! Nancy, you got four right! Sometimes my memory feels like a gaping Black Hole. Whenever you post Trivia Questions, I am reminded of that feeling. Gah. Blogfest overload, blog hop overload. Blogfest you jest? I think you know my thoughts on all these things. Sadly, not all involved with them embraces the spirit of positive interaction. Unfortunately, they just get involved for blatant self-promotion and that really does disappointment me. I can only speak for me, but yes. Too many. It's a lot of time involved. I will be signing up for yours. I appreciate your blog and your comments on mine. I'm going to try and approach this years differently. I wish there was a button on blog hops that showed you were there and read it, but didn't have the time to comment, but they could see you photo or moniker. More is fun...plus, most of these are great post prompts. May as well join the party while you write, right? Thank you for helping out with my cover reveal. There does seem like a lot of blogfests going on. Yet I do understand everyone is trying to get them out before the A to Z Challenge. Goodness knows I'm not doing anything in April other than the challenge! Thanks for the list, I need to get hop-en! :) So many to choose from, and somehow I'm always last, although to be honest I try to have something to contribute before I go all in. I need a vacation, anyone got a beach I can borrow? Goodness, Alex, do you participate in all of these? They sound like fun, but life is sometimes overwhelming. You are amazing! Congrats to Ali, Christine, and Cindy! It's crazy busy out here in bloggland, but it's a beautiful thing to see. More so that lots of folks keep joining in. Congrats to all authors with new releases! I signed up for a few blog hops, but won't be doing any more until I'm finished with edits on several upcoming releases. I have a feeling they'll come all at once. Very cool you have a cover - looking forward to seeing it. I'm having problems keeping up with a lot here lately. I only knew the answer to Trivia #1: Stargate. I'm impressed that you could even list the upcoming blogfests. I'm signed up for two next week, and just that much makes me nervous (I so don't want to mess up on anyone). Robin, Wednesday Movie Quote is a go! Gary, that is sad, and I know individuals who do that. Leigh, you just want to let your presence be known without words? Appreciate that you'll be participating in mine. Christine, you're welcome, and I'm not doing anything else either! There *are* a lot of blogfests. And granted, only posting once or twice a week limits my ability to participate, but it's fun to have a choice. These days, I prefer the 'fests aimed more at sharing "me" than sharing chunks of my writing. But A to Z? Movie Countdown? I'm there! I think people know if they don't want to participate in a blogfest, they don't have to. It's not a requirement. I actually know all but #5 of the Movie Trivia! Yay! You referenced bill and Ted, 10 internets. Is the Lori piety one the game. Loved star gate. Looking forward to Ali's new MG book! I don't mind all the blogfests. It's fun to see what people come up with. Congratulations to Cindy, Ali, and Christine! :) What a busy season! No, I don't know any trivia answers but I like the snippet from The Harbinger. Wow. Zeus is still around stealing souls? I just released Penniless Hearts and there are so many blogfests etc. Wow 2. I will never be able to keep up. Congratulations on your new cover! Sooo looking forward to your cover reveal and I'm thrilled you love it. Oh noes.. that's all I know! Golly gee. I'm commenter # 115. Wow! And I said I would help with the cover reveal. Get me down? I love the cover on Christine's book. That's a lotta blogfests. I'm revising, so I gotta stay away from the blogfests for a time. Happy Monday, Alex! I remember a time when blogfests were special and unique. Now, there is a tidal wave of them. Same for book blog tours. Those two items used to work. Now, I think their usefulness is weak from over-use. Christine's cover looks great. I'm intrigued what yours will look like. Signed up for the cover reveal. I don't do that many blogfests, mainly because I get overwhelmed easily and don't want to feel like I"m not pulling my weight. I am planning to do A-Z, which is the only one I normally do. Cheers! I agree there are too many blogfests. I can only participate in a handful because at the same time, I'm helping to PROMOTE my fellow writers by hosting their blog tours. I love the selection we have of blogfests because I can sign up for what looks intriguing. For all I know, the blogfests keeps the writing community busy and we meet new people and get new followers. But it doesn't help making connections with writers that much because it's on a certain topic. I have a blogfest idea in my head that you (Alex) that we could host together. The Best and Worst Film Adaptations? We could do that later on in the year... Um, I better email you because you're the king of blogfests! There is a bit of an overload for me in not only blogfests, but life in general. So much to do! I think we may see a lot more blogfests after April as well because people get so into the A to Z that they want to keep the excitement going. Seems like that's what has happened in the past. Nice to have the "complete" bloghop/blogfest link in one nice list. Thanks! Budd, it was a comic. Lynda, I almost wish I'd waited on my blogfest, but it's set in stone now. Robyn, thanks! Did you sign up on the list? Roland, step back, step forward, and then we're cha-chaing! Livia, I wonder where you got that idea from??? And it's cool - we'll get you a spot this summer. Lee, I've got another one planned for May with a couple co-hosts. Jeff, I tried to remember them all! I think sometimes we get too many blogfests, but I also think they're fun. I wish I could keep up with them all. I've got nothing on the trivia, and you definitely need to read Cragbridge Hall by Chad Morris when it comes out the first part of March. It's AWESOME!!! When I commit to a blogfest, I always complete my mission, besides they're fun and engaging to do. Awesome news all around! I'm very excited about these blogfests. Some I will do and some I will just hop around and visit. I have jumped on a couple of blogfests in the past (namely NaBloPoMo), but this will be my first year participating in A to Z.
Wow, there are certainly a LOT of blogfests but that's wonderful because they mean more connections and creativity! Of course, you are the ninja of blogfests :) Sadly, I don't know any of the trivia answers (please don't unfriend me). I'm buried in schoolwork and revisions so will probably opt out. You are a continual source of inspiration for me in the way you balance all of your writing! I really love bloghops, blogfests and blog tour, blog anything! Besides connecting and finding other people with similar interests and inspiring stories it helps learning schedule, plan and discipline! Nice to have that list of blog hops in one place! it is so wonderful to see so many getting published! and fun hops! limiting myself to only a couple is hard!! must get writing my a to z's! Leigh, I'll try to fit it in. Jennifer, you got one right. Brett, you got all of them right. And welcome to the A to Z Challenge. Thank you, Saumya! Never unfriend you. I do too many blog fests, & I seriously need to take a break & finish SotS before this baby arrives!!! Looking forward to seeing that cover, Alex. The ones I know without thinking too hard are #1 (Stargate -- huge fan of the movie and SGA), and #6 (Bill & Ted -- EXCELLENT!! It's one of my all time favorites). I think #3 is 12 Monkeys? I'm overloaded with books right now! I need to find time to read them all :) I just finished Samantha Durante's 'Stitch', which was pretty good. WOW that is a lot of blog fests and blog hops! I need to get back to concentrating on the April A-Z ideas I have for postings! There is a lot going on. I've chosen 3 blogfests to do before A-Z. Just started my A-Z drafts, too. Ali Cross sure has been busy writing and publishing novels. I didn't know she wrote MG, that's awesome. I'll have to check out Harbinger, as well. Been seeing that one around a lot. Phew! It's NOT just me. Here I was feeling badly because I couldn't participate in all the fests lately. I struggle to keep up with normal blogging never mind blogfests and I've signed up for the A to Z! I need to start planning. Yay for new book releases. And, Alex, I can't wait to see/host??? your cover. You're awesome, and ya rock! I am SO excited to see your cover! Now I have something to look forward to on Friday! The trivia, I have nothing. I can never place actors to the movies they were in...well, hardly ever. But the Bruce Willis and Brad Pitt one, I have a feeling I should know that one. Should probably know the Kurt Russell one as well. And in answer to your Psych question. I usually finish half a season a night. Even more if it is Friday night and I don't have to be up early on Saturday. wait. That doesn't sound right. I think I actually got all the answers!! I'm going to treat myself to some pop tarts. I will have to join some of those blogfests. I don't feel like there is an over load. For one, they're not mandatory and life doesn't end if you mess up on one. I think like you...they are for fun and community. We should enjoy! I love blogfests . . . but it's true, there are an awful lot these days. And I want to participate in all of them! I know the first ones is STargate. (love that movie). And #3 is 12 Monkeys. Not sure about the others. Stargate came out in 1994?! Goodness that fact makes me feel old. Lol! Thanks for the reminder about the upcoming blogfests. Too many blogfests? Eh, I dunno. It certainly affords an interesting selection. I've been participating in less blogfests, mostly due to lack of planning, but I always enjoy poking around and reading the different posts. Terri, that's the most important one! Ella, post a photo of a cream puff and we'll call it even! Jack, that's soem impressive Psych watching. The new books look great! Will check them out- congrats to all the authors. There are a lot of upcoming blogfests, but you're right, they are so much fun and I love to read what everyone comes up with! And I don't know a single one of those movies...ha- shows my knowledge of sci-fi doesn't it??? Might need to brush up on my trivia. I love the cover for Christine's next release! And there are a lot of great blogfests going around, but I told myself to be careful and sign up for the ones I can participate in more, so it's cut back on my blogfest posting time. But I really do wish I could join more of them. I'm in the revision cave. Hopefully I'll be out soon! I'll be checking out the new books, I discovered I'm terrible with sci-fi trivia, and I don't mind blogfests. It's always fun to participate or just hope around the blog-sphere. The good thing about a lot of blogfests is there are plenty of choices for everyone! I think #3 is 12 Monkeys - or something like that. A very strange and interesting movie I saw years ago. The Harbinger sounds like a great book and I like the cover. I am going to check out Ali Cross' book as I love MG books. Gosh, there are so many blogfests happening, how is one supposed to manage it all? 6. Johnny Mnemonic (or however all of that is spelled?)? I keep missing the fun blog fests because I've been so busy. :( Are there a lot? Yes. But no one has to take part in them if they don't want to.